Gone are the days when musicians could get by with knowing two types of synthesis: analog and digital. It used to be that the majority of synthesizers that came out were subtractive analog, that being your usual oscillator/filter/envelope signal-path type. On the digital side, at the turn of the '80s, there were a few very high-end samplers and the first of Yamaha's FM machines, but really, unless you were working at the cutting edge of sound design or in academia, just knowing the terms "analog" and "digital" was good enough. Nowadays, thanks to advances in technology, the processing power of computers, as well as the surge in popularity of Eurorack and its anything goes spirit, what is possible with sound synthesis includes a variety of styles, from the commonplace to the more esoteric. It can be a little confusing, so here's a rundown of 10 common forms of synthesis you may encounter when looking at synthesizers, whether hardware or software. Please note that this is not a definitive list, as new synthesis types are being developed all the time. This really is an exciting time to be making music. Have a favorite type of synthesis that isn't represented in our list? Let us know in the comments. Subtractive synthesis is perhaps the most common form. You start with a harmonically rich sound (the oscillator) and then subtract harmonics from it with a filter and volume with an envelope. You can think of it like sculpting. A sculptor starts with a large block of material and chisels away until it resembles something else. In the same way, a raw tone is shaped and formed until it resembles another instrument, like a horn or violin, or something else entirely. Subtractive synthesis is usually thought of as being analog, although it can also be represented digitally in the form of analog modeling. The Moog Minimoog Model-D, Roland Jupiter-8, and Arturia Minibrute are great examples of subtractive synthesizers, but there are many, many more. FM, which stands for frequency modulation, is a digital form of synthesis whereby one waveform modulates another. Although there is analog FM synthesis (also known as "exponential FM synthesis" or sometimes "cross modulation"), usually, when people talk about FM, they're talking about the digital kind. Specifically, they're likely referring to the patented form of linear FM synthesis employed by Yamaha in its DX7 and other similar synths. Instead of starting with a harmonically rich waveform, as in subtractive synthesis, FM starts with a pure sine wave, called a carrier, and modulates it with another (inaudible) sine wave, called the modulator. This modulation creates harmonics in the audible carrier wave. Combinations of multiple carriers and modulators, called algorithms, create more complex sounds. Later Yamaha units, such as the TX81Z, may feature more than just sine waves. Although Yamaha owns the patent for FM, other companies have released their own versions. First introduced in the CZ-101, phase distortion (PD) was Casio's version of FM. It involves a harmonically rich waveform modulating another. Variable phase modulation (VPM) is Korg's proprietary version, and, like PD, it employs a variety of waveforms. It can be found in the Multi-Engine Oscillator in the Prologues and Minilogue XD, among other instruments. Sample-based synthesis involves recording (or sampling) a sound into digital memory. Although commonplace now, in the late '70s and early '80s this was a novel and often expensive form of synthesis. Some of the first were the Fairlight CMI and New England Digital Synclavier—which were enormously expensive at the time. Later samplers, particularly Akai's rackmount S series and MPCs, along with Ensoniq's Mirage, brought affordable sampling to the masses. There are a few different types of machines that cater to sample-based synthesis we'll define below. Samplers can transform a continuous analog sound into the digital domain, allowing it to be processed and played back. These days, affordable hardware samplers abound: the Elektron Octatrack and Digitakt, Korg Electribe 2 Sampler, and more. They can also be found in any number of DAWs that allow you to import sounds and then use synthesis tools to transform them, like Ableton Live's Sampler, Logic's EXS24, and more. Meanwhile, ROMplers, such as drum machines and synthesizers like the Roland JV-8080, offer similar sound design capabilities but only with pre-loaded sampled sounds. Popular software ROMplers are Native Instruments' Kontakt, reFX Nexus, and IK Multimedia SampleTank. For those looking for readymade sounds that can be further tweaked to your liking, such modern-day ROMplers put huge sound libraries at your disposal, without the need for doing any sampling yourself. Hybrid synthesizers offer some kind of combination of digital sampled waveforms and analog subtractive synthesis, often a digital oscillator containing sampled waveforms alongside analog filters and envelopes. Korg's DW-8000 is an older example of this and Sequential's Prophet XL is a modern equivalent. 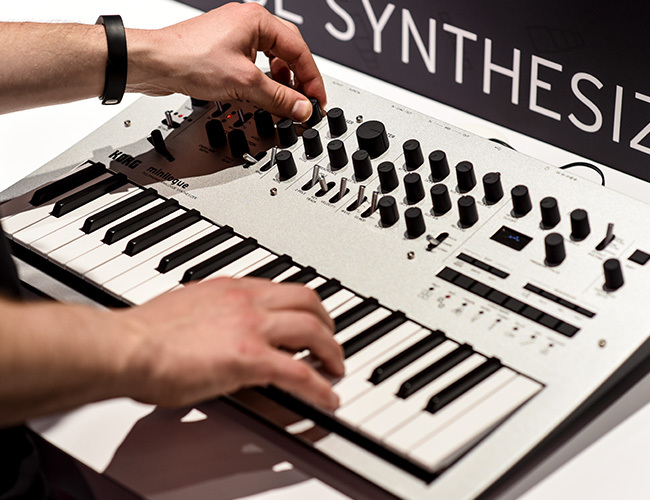 Other new hybrid synths are the Arturia MicroFreak, Novation Peak, and even, on a certain setting, the new Minilogue XD, which adds a digital sound engine to the original's two analog oscillators. Meanwhile, Sample & Synthesis is a broad term to cover a type of digital, sample-based synthesis that achieved popularity in the late '80s with Roland's D-50 and its Linear Arithmetic synthesis, or LA synthesis. This pairs a very short sampled transient with a subtractive-style digital oscillator to create a unique type of sound. Ensoniq's SQ-80 Cross Wave, Yamaha's SY55 Advanced Wave Memory 2, and Korg's M1 used similar techniques. First developed by Wolfgang Palm in the late '70s, wavetable synthesis has become extremely popular as of late, due largely to its flexibility and ability to create evolving sounds. At its heart are digital oscillators that use wavetables, or groupings of single-cycle waveforms. Playback can move laterally across the waveforms, resulting in unique expressions of movement and sonic change. This movement can be controlled with envelopes, much like volume can be controlled in subtractive synths. The first successful hardware wavetable synthesizer was Palm's PPG Wave, and the synthesis style is at the heart of modern powerhouse soft synths like Native Instruments' Massive, Xfer Records' Serum, Ableton's Wavetable, and Arturia's Pigments. In contrast to wavetable synthesis, which interpolates between waveforms stacked side by side, vector synthesis gives the user control over the volume balance of four sampled waveforms arranged as if occupying four corners of a two-dimensional plane, with a joystick to crossfade between them. Vector synthesis debuted with Sequential Circuits' Prophet VS, and also appeared in Yamaha's SY22, SY35, and TG33 synths, as well as Korg's Wavestation, all of which were developed by the core SCI team. Although vector synthesis was something of an evolutionary dead-end, it does continue to pop-up in modern machines, such as in Korg's Kronos. Where subtractive synthesis involves starting with harmonically rich sounds and paring back, additive synthesis is the opposite, using a number of harmonic partials of sine waves that, when added together (hence the name), create harmonically rich sounds. A Hammond organ, with its drawbars, is an example of a kind of additive synthesis. 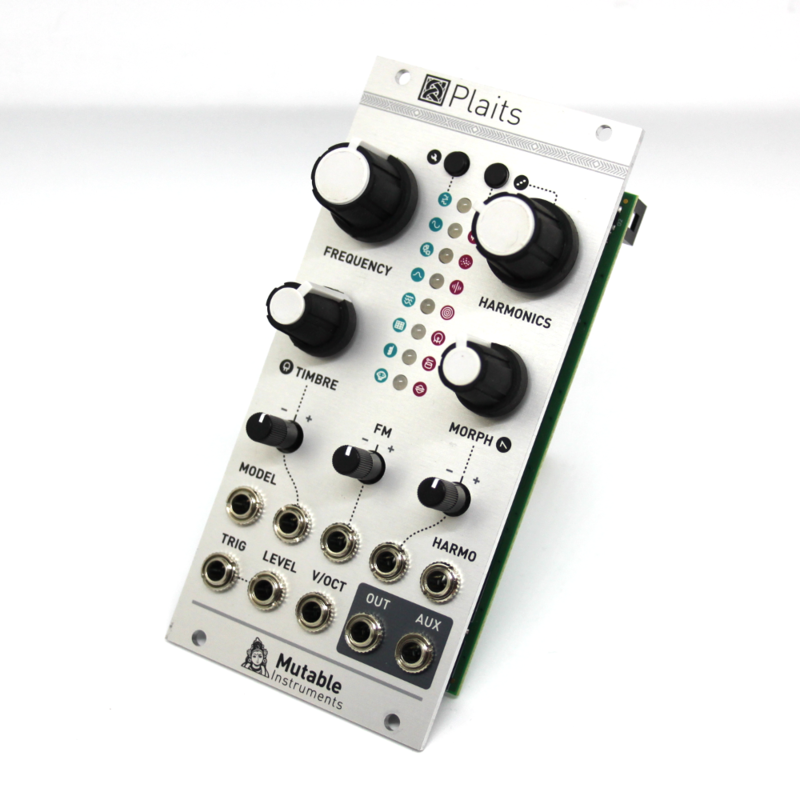 The 24-harmonic oscillator in Mutable Instruments' Plaits is a far more recent example of additive synthesis, while Razor from Native Instruments is another very powerful example. As anyone who has used Razor can see (and hear), additive synthesis can be a powerful way of generating pretty much any waveform (and even filter characteristics) using only sine waves. If you're looking for defined, precise sounds, additive synthesis is a great way to go. Resynthesis is a process associated with additive synthesis whereby a recorded sound is analyzed and recreated using sinusoidal harmonic partials. Instead of starting with sine waves and attempting to describe a new waveform, resynthesis starts with the waveform and reproduces it. New England Digital's Synclavier was capable of resynthesis. The Hartmann Neuron synth used a proprietary neural-network resynthesis technique to create sounds. All together, this is admittedly not a very common form of synthesis. Spectral synthesis is a kind of resynthesis that transforms a sound into a number of spectral bins, where each "bin" is a representation of its frequencies. The sound's noise content is also represented. This content is then displayed on a spectrogram, which represents the frequencies in terms of pitch as well as density. This allows for unique and targeted shaping of sound at the frequency level. It forms the basis for programs such as iZotope's RX as well as its Iris 2 sampler synthesizer. While the Iris 2 starts with traditional samples like any other sampler, it allows you to choose the frequency bands that you want to hear. This is achieved by drawing on the spectrogram, the visual representation of the audio file’s frequency content. This can then be layered with other, similarly filtered samples and then run through traditional filters, envelopes, and modulated. Where basic subtractive synthesis can mimic the sound of physical acoustic instruments, physical modeling goes one further and digitally recreates the processes whereby a sound is made. This involves using digital signal processing (DSP) to recreate the various properties that make up the sound, usually the exciter (such as a bow on a stringed instrument or breath for a woodwind), the resonant body of the instrument, and often the properties from which it is made (wood, metal, etc.). There are a number of different kinds of physical modeling synthesis. The most basic is Karplus-Strong string synthesis, which loops a short waveform through a filtered delay line. This can be heard in parts of Arturia's MicroFreak. Resonator synthesis—as heard in the Waldorf Quantum and IceGear Instruments' iOS synth Laplace—and modal synthesis, as in Mutable Instruments' Elements, uses bandpass filters to recreate the sound of physical instruments. Physical modeling is complex. If you'd like to explore it more, check out Sculpture, which comes bundled with Logic Pro, the Korg Prophecy, and the Yamaha VL1. Granular synthesis is a kind of sample synthesis but one that acts almost microscopically on the sample, breaking it down into tiny parts, or grains, and allowing playback to jump around to different grains in the sample. Grain size, volume, position, etc., can be manipulated, resulting in new sounds. Tasty Chips GR-1 is a dedicated granular synthesis machine, while the Waldorf Quantum includes the function among its other synthesis types. Bitwig Studio 2's Sampler also allows for granular synthesis. As granular synthesis can be a powerful way to create unheard sounds and textures, it is often employed by sound designers for TV, movies, and video games. Spectrasonics Omnisphere is a classic VST that included granular synthesis. Modern software includes Reason’s Grain Sample Manipulator, Quanta from Audio Damage, and Alchemy, which is included in Logic Pro X. We started our tour of synthesis types with subtractive on the East Coast, so it seems fitting that we end on the West Coast. At the same time that Bob Moog was developing his subtractive analog synthesis in New York, Don Buchla was perfecting what would come to be called West Coast synthesis in San Francisco. Unlike East Coast subtractive synthesis, which starts with a complex waveform, Buchla's West Coast synthesis usually starts with a relatively simple waveform, like a triangle, and uses waveshapers to add harmonics. Filtering is achieved with a low-pass gate, which acts like a filter and VCA in one. Additionally, West Coast synthesis was designed for experimentation, so the traditional piano-style keyboard is often eschewed in favor of sequencers, touch panels, and other tools for interaction that favor exploration over chromatic playing. 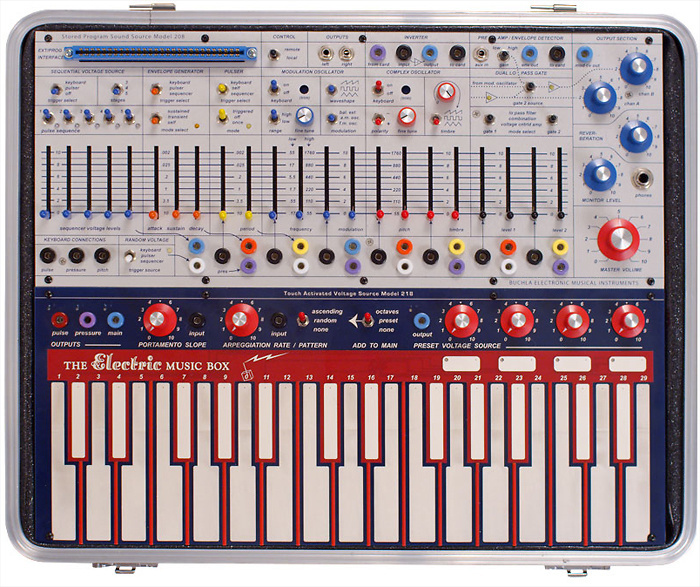 While an original Buchla Music Easel is hard to come by, Arturia makes the Buchla Easel V software emulation, and Korg's new Volca Modular takes many cues from West Coast synthesis in its diminutive chassis. Part 3: What's A Filter?